Sign up for that registry, and beg your distant relatives to send you money, because it’s time to start packing for college. 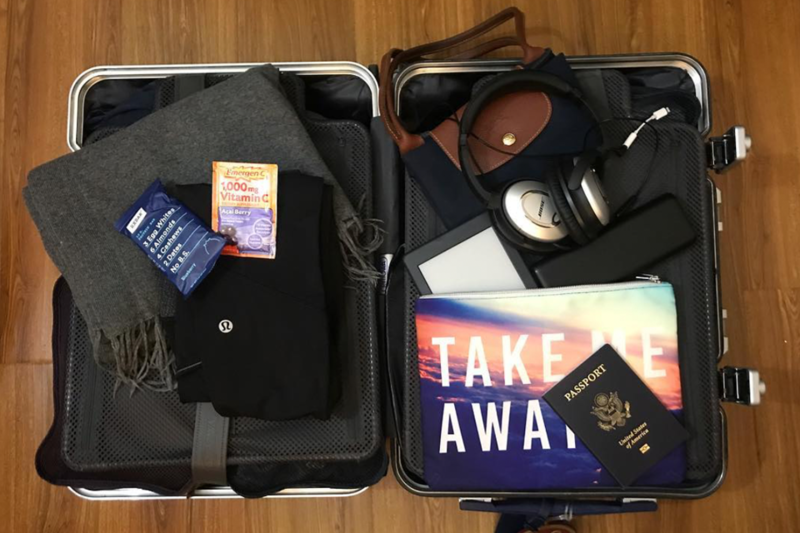 As you browse through Bed Bath & Beyond’s catalog and pile your life into your suitcases, keep this ultimate packing list by your side—you want to make sure you have everything with you. Also, make sure to read our article dedicated to clothing so you know what to bring to be comfortable throughout the year. Pro tip #1: Follow Spectrum’s ultimate rule of thumb: When in doubt, do without. If you find yourself needing it later down the line, you can always go out and buy it then. Pro tip #2: Want some quick cash to help purchase some of these supplies? Spend the next five minutes filling out Required Reading’s class of 2021 survey. If you’re one of the first 100 respondents, you’ll be entered into a raffle to win a $50 Amazon gift card. Pro tip #3: Go through this list and see what would actually make sense for your lifestyle. Never cook? Then don’t bother bringing or buying any cooking supplies. 1 mattress pad: College mattresses are notoriously hard, and Columbia’s are no exception. You get used to it eventually, but make your night’s sleep more enjoyable and restful with a little extra cushioning. 2 sets of bed sheets: One to use, one to sit in your laundry hamper for the next two weeks. (But seriously though, change your sheets frequently) Make sure you have a clean set ready when you arrive on campus so you can put them on your bed right away. 2-4 pillowcases: You’ll need a spare set, same as your bed sheets. If you only use one pillow, then just bring two pillowcases with you. 1-2 pillows: Don’t let your bed go bare. 1 comforter set: We get that some of you guys might want to change up your #dormaesthetic every now and again, but please for the love of all that is good do not bring two comforter sets. Your dorm space is valuable, and trust us, you do not want to deal with two bulky sets when you’re packing up your room at the end of the year. 1 laundry hamper: The kind that can fold up is preferable, as it makes it easy to store. Also look for one that will be easy to carry and transport—your room may be farther from the laundry room than you’d like. 1 shoe organizer: We prefer the kind that can hang on the back of a closet door, but you might also be able to find a two-tier shelving unit to stick under your bed. 20 hangers: For coats, dresses, jeans, and any shirts you don’t want to get wrinkled in your bureau. Make sure you have a sturdy enough hanger for your heavy winter coat. 1 desk organizer for office supplies: Get the kind with both drawers and holders so you can store your pens, pencils, staples, paper clips, etc. in one convenient place. 1 desk lamp: Some desks might have lights built into them, but those are often old as time itself, and they don’t emit the best light for studying. 1 floor lamp: The overhead light in many dorm rooms aren’t quite bright enough when it gets dark out. See how you feel after your first few nights before you purchase a floor lamp. 1 desk chair cushion: Many dorms come with old wooden chairs, so your bum will get tired of sitting on the hard surface for an extended amount of time. This doesn’t mean you should run out to your nearest Bed, Bath, & Beyond and buy a chair to replace it (please don’t do that – think of how you’ll manage to store it over the summer). A simple cushion will suffice. 1 fan: Some dorms have A/C. Other dorms do not. If you’re not one of the ~chosen ones~, invest in a quality fan to sit next to your bed, unless you want your room to feel like a tropical rain forest. 1-2 rolls of blue painter’s tape: This is technically the only CU/BC approved method of hanging up decorations, which we’re sure you’ll abide by 100 percent of the time. ;) Still, blue painter’s tape is good for hanging up pictures and posters. 2-3 packs of command hooks: These aren’t technically allowed, but command hooks don’t leave marks on the wall, so you should be able to use these bad boys to hang your heavier items..
2-4 cloth cube containers: Storage space can be a little sparse, so extra containers will be a lifesaver. Use them to store food, extra bed sheets, infrequently used cleaning supplies, etc., and keep them on your desk shelves, under your bed, or on top of your mini fridge. 1 shower caddy: For easy transport to and from your communal shower. 1 bathrobe (women’s and men’s): Likewise, for easy transport to and from your communal shower. 2-4 towels: One for your body, one for your hair, and extras for when the previous two are in the dirty. 1 pair of shower shoes (women’s and men’s): We’ve said it already but we’ll say it again: Never go shoeless to the shower. Just don’t do it. Thousands of people before you have spread their foot germs here. 1 hair dryer: When you wake up 20 minutes before your 8:40, you’ll have this guy to thank for delivering your semi-presentable appearance. 1 makeup organizer: Don’t let your eyeliner run astray. 1 vanity mirror: I do not mean a full-length mirror—most rooms come with one. I mean a small mirror for you to put on your desk to do your makeup, blow dry your hair, etc. Clorox wipes: Your room was cleaned by Facilities after the previous class moved out, so it’s relatively clean. However, dust is sure to have accumulated since then. Make sure you wipe down your desk, chair, dresser drawers, and mattress before doing anything else. Clorox wipes will also be helpful throughout the year when you know you have to clean but really don’t have the energy to actually get the vacuum and cleaning supplies out. 1 broom and pan set: You don’t need a full-size broom and pan—a smaller set will do the job nicely. 1 hand-held cordless vacuum cleaner: Again, don’t bother with a full-size vacuum—you’ll have nowhere to store it, and most dorm buildings have one for you to borrow. Get this hand-held one for everyday messes and once-a-week tidying. 2 bowls and plates: Make sure you get microwave-safe ones for easy reheating. 2 sets of utensils: Take it from someone who’s learned the hard way: When you leave your dishes in your communal kitchen, they get taken. Not because your floor mates want to see you utensil-less, but because people mistake things for their own and end up walking away with them. It happens. Get yourself an extra set of forks, spoons, and knives so you don’t have to steal from West Side Market’s healthily stocked collection of disposable utensils. Water bottle/thermos: Stay hydrated, folks. Find a good reusable one that’s easy to clean—it’s better for the environment, and there are water bottle filling stations all over campus. 1 mini fridge: You can get away with buying one if you live nearby and can take it back home to store over the summer. If you’re coming from some far off land, rent one. Pro tip: Eco Reps, the main environmental club on campus, has a sale at the beginning of the year where you can buy used items. Mini fridges are super cheap and affordable at this sale, so keep an eye out for it. 1 small pot: It’s good for cooking soup, obviously, but it can also double as a mixing bowl for your late-night baking needs. 1 small frying pan: My mom tried to be nice and bought me a cast iron skillet for my dorm. Do not do this—it’s a pain to clean and heavy to store. Stick with your good old fashioned non-stick pan. 1 silicone stirring spoon: I’ve gotten away with doing all of my college cooking with just a metal fork and spoon, but I should probably upgrade to an actual stirring spoon now. Get the silicone ones for easy cleaning—they’re also gentler on your non-stick pans. 1 electric kettle: Every college students’ lifesaver. It’s not just good for tea—it’ll also be good to heat up water for your ramen, oatmeal, instant coffee, etc. 2-3 food storage containers: To store leftovers or for smuggling out granola from Ferris for later use. Bonus points if it’s freezer and microwave friendly. 1 backpack/purse: Make sure your bag is large enough to hold one or two textbooks/workbooks, a few notebooks, a laptop and charger, pens, and whatever personal belongings you need. Bonus points if it has good support for your back. 4-5 plastic folders: One for each class. Use one side to hold assignments that have already been returned, and the other side for work that you still need to do. 4-5 one-subject notebooks, or 1 five-subject notebook: One for each class. Do not buy a three-subject notebook for every subject you’re taking—you won’t use 80 percent of the paper and we’re supposed to be saving the planet. 1 three-pad pack of Post-It notes: Good for annotations and points you want to bring up during your Lit Hum/First-Year Writing class. 1 reading light that can clip to your book: You’ll get tired sitting at your desk all the time. Crawl into bed and get comfortable while doing your Lit Hum reading. Make sure you also note the things that aren’t on this list. A printer, full-length mirror, trashcan, and lap desk are not on this list—they’ll either be provided by the college (mirror, trash can), or you won’t use them (printer, lap desk). Remember: Whether you’re living in a single or bunking with a roommate, you’ll only have around 80 square feet of space; make the most of every inch and only pack the necessities. Don’t forget to fill out Required Reading’s class of 2021 survey! Don’t know if you should bring it from home or buy it in NYC? Here are our suggestions. No, you don’t really need to bring your own printer. Here’s the complete list of what you may think you need but don’t really, and also what you may think you don’t need but really do. NYC weather is tricky—it’s warm for two weeks, gets kind of chilly in October, and then turns absolutely freezing. Here’s how you can build yourself a wardrobe for NYC weather with the limited space you have. Everyone knows the most exciting part of going back to school is buying new school supplies. Here are some absolute essentials we think you should carry in your backpack. Want to add something to this list? Tell us what we’re missing on our Facebook, Twitter, or Snapchat @CUSpectrum. Veronica Grace Taleon is Spectrum’s editor and a Barnard junior. She did without a majority of the items in the “cooking supplies” section her first year but she always had her kettle to make oatmeal. She’s since then upgraded to a pot for Campbell’s soup. Reach her at veronica.taleon@columbiaspectator.com.